Turn to us for all the information you need to choose the best insurance for your situation. At Curtis Helms Insurance, we understand that the best insurance is insurance that gives you peace of mind that an unexpected loss or liability won’t disrupt your financial goals. While it is common to shop around looking for the best rates, that isn’t the only factor involved when securing coverage. We take the time to learn about your specific needs, so we can put together a custom package that makes sense for you. By offering a wide variety of insurance coverages, including auto, home, life, and commercial, we are able to create the best insurance plan for you and your family. 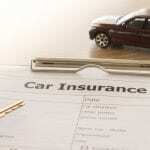 We can also investigate if bundling coverages with one insurance company is a viable option for your situation. We always provide you with a personal touch, so you’ll have a firm and comprehensive understanding of the options available and be able to make an informed decision regarding the best insurance package for your needs. We are well-known in the Charlotte, North Carolina area for the superior service we provide as a family-owned and operated business. We are confident you will be more than satisfied with our services and how our friendly staff treats you with the utmost respect to earn your trust. It costs you nothing to learn about the coverage we can obtain for you, so if you are looking for the best insurance in terms of coverage, deductibles, and cost, we welcome your call to schedule a consultation and free quote for business, auto, life, and/or home insurance. In addition, feel free to call us if you need auto insurance quickly, as we can normally provide it on the same day and within minutes.